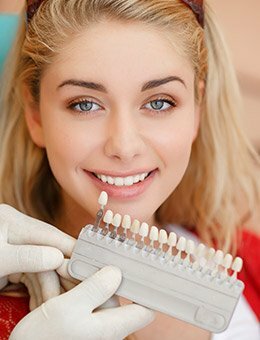 Why Choose Murphy Family Dentistry for Cosmetic Dentistry? Being able to achieve a smile that’s free of noticeable crookedness and large gaps is a wonderful feeling. The right orthodontic treatment can also lead to several other benefits beyond pure aesthetics, including a stronger bite and being able to brush and floss much more easily at home. At Murphy Family Dentistry, we offer traditional braces for both adults and kids alike, as well as Invisalign® Clear Braces for a subtler and more professional appearance. 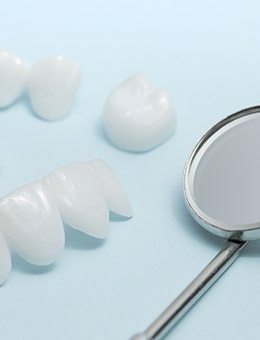 Do you have chipped, cracked, stained, or misaligned teeth that are keeping you from smiling with confidence? 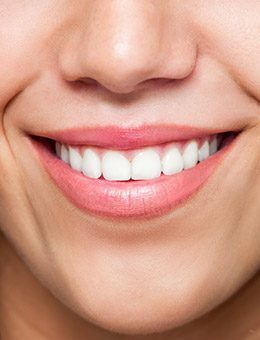 With porcelain veneers, you can dramatically transform the appearance of your smile in just a couple of visits to Murphy Family Dentistry. With this procedure you can change the shape, color, and length of your teeth to achieve a more pleasing smile with only minimal tooth reduction. Dental restorations have been made from a variety of materials over the years, including gold. But as durable as these different materials are, they don't always provide great results from a cosmetic standpoint. That's why our team at Murphy Family Dentistry uses non-metal restorations when possible. Ceramic is known for its natural appearance. With your all-ceramic restoration in place, you can look forward to enjoying not just a stronger and healthier smile, but a smile that also looks naturally beautiful. 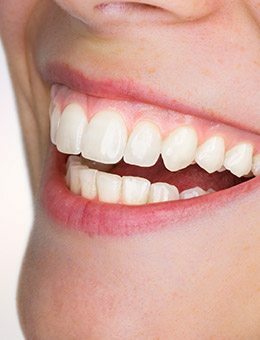 Direct bonding is a fast and easy way to correct relatively minor smile frustrations, such as slight chips in the enamel or thin gaps between teeth. In most cases, our dentists will only need a single appointment to create beautiful, lasting improvements. We’ll start by applying tooth-colored composite resin to the affected tooth and sculpting it into an attractive, natural-looking addition. 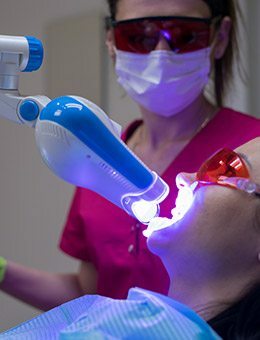 After hardening it in place with a hi-tech curing light, you’ll be able to return to your regular routine and leave the worry about your appearance behind. If yellow discoloration and dark stains have stolen your smile’s natural glow, we can use the highly regarded Zoom! whitening system to dramatically brighten tooth enamel in just one short visit. If you’d prefer a more gradual treatment process or to have additional control over the shade variation, ask us about professional strength take-home whitening trays as an alternative. These can be flexibly used on your own schedule, whether you’re getting ready for work in the morning or resting in front of the television after a long day. Does your smile seem overly short, uneven, or “gummy” in the mirror? Aesthetic gum recontouring can restore a sense of balance to your overall appearance, revealing more of your beautiful teeth to the world and creating a much more even gum line. We use a state-of-the-art soft tissue laser to precisely eliminate and reshape unnecessary tissue very comfortably . Would you like to know which of these services is right for you? During a consultation at our Murphy dental office, we can answer your questions. We can also help you decide on a customized treatment plan that will finally give you your dream smile. Contact us today!